Baseball fans are generally fans of teams first – grow up in Philly, you’re a Phillies fan; in Seattle, you’re a Mariners fan; in Florida, you’re probably wondering why you’re a Marlins fan. From there, you become a fan of whatever league your team of choice belongs to. National League fans generally extol the virtues of in-game strategy, while American League fans point to the more competent offense of designated hitters. Interleague play has shown the AL to be the stronger of the two leagues for 14 consecutive seasons – this sustained dominance is likely due to the difference in ability between a regular DH and whatever pinch hitter the NL team tries to shoehorn into the DH role. This year, however, things have changed. Through June 25th, the NL leads the season series 67-59. It’s not just wins, either – they’ve outscored the AL 554-521 while maintaining a slight edge in wOBA differential (.315 wOBA vs. .312 wOBA allowed). The knee-jerk reaction might be to conclude that the NL is better now than in years past. There might be some grain of truth there, but what I suspect is the real secret of the NL’s success – the bottom of the AL has completely fallen out. You have your bottom feeders, sure, but the spread is pretty normal – the standard deviation in NL W% is 0.06, which is in line with expectations – since 2009, the standard deviation in W% has been between 0.06 and 0.075. Now, let’s add in the American League teams. This…is not what parity looks like. Four teams have a better record than the best NL team, and three teams have a worse record than the worst NL team. That’s half of the AL either better than the best or worse than the worst. The standard deviation for AL W% reflects this – 0.12, double what the average standard deviation is. Remember that interleague record I pointed out? The NL dominance reflects which AL teams have played interleague games. The top 4 AL teams have played a combined 26 games (an average of 6.5 games apiece), whereas the bottom 3 teams – the teams that have fared worse than the Marlins – have combined for 35 games (an average of 11.67 games apiece). The Orioles lead the American League in interleague games played. Weighing by the number of interleague games played, the American League has a winning percentage of 0.475 (77-game win pace) vs. the NL’s 0.511 (83-game win pace). This is all to say that the AL has disproportionately sent their worst teams to interleague games so far this year. While the National League does have an edge in interleague play this season, the real test has yet to come. Standout Hitter: Maikel Franco. Franco has been consistently inconsistent – this week was “Good” Franco’s turn. His 253 wRC+ ranks 13th out of 311 hitters this past week, which brings his season total to 95 – just about (but still below) average. The All-Star level player he was in 2015 is in the rear view. He’ll do for now, but I think the Phillies can officially start looking at other options for the hot corner. Standout Pitcher: Zach Eflin. A strong week (12.0 IP, 1.50 ERA) to finish a strong month. Take it away, The Good Phight. Zach Eflin: 5-0, 1.76 ERA in June. Last and only other Phillies pitcher in the last 25 years to go 5-0 with a sub-2 ERA in a month is Cliff Lee, in both June and August 2011. Sit-Down Hitter: Scott Kingery. While Aaron Altherr was far worse, he only had 8 PA over the entire week. Given that Zach Eflin was even more inept (and only had 2 fewer PA), I couldn’t justify giving it to Altherr. That leaves Scott Kingery, who batted .292 but with few walks and 0 power to speak of. Overall he OPSed (that’s a verb, right?) .612, which…isn’t good. He’s young and he’s a rookie, so we’ll just have to endure his growing pains alongside him. Sit-Down Pitcher: Jake Arrieta. Just take Zach Eflin’s month and invert it to get Arrieta’s. His 5.40 ERA in his final June start actually LOWERED his ERA for the month. Overall, his 6.66 ERA in June 2018 is his worst qualified month since June 2012. The good news is that the month is almost over. July has to be better….right? 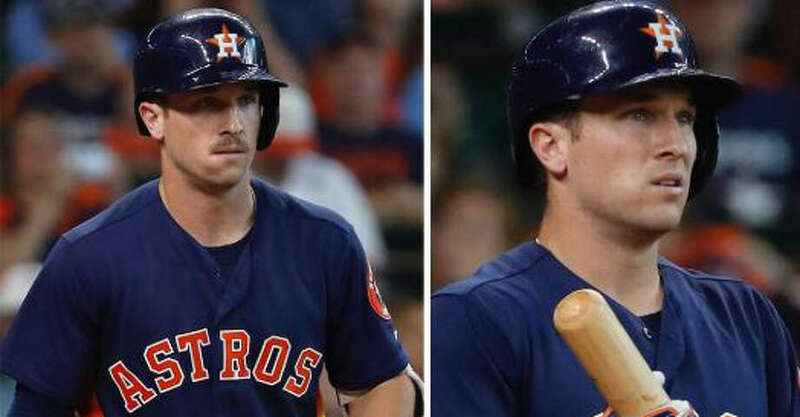 Alex Bregman’s evil twin, Malex Bregman, was defeated mid-game on Sunday. Alex, in Malex’s place, managed to get a walk. What are you doing, not following @darenw? I am all for minor league theme nights. The Pawtucket Red Sox, however, might have gone too far. See below. Tim Tebow Dongs Ripped count: 5. On the subject of Tim Tebow… it’s easy to get annoyed by the amount of coverage he gets, but damn if he isn’t a good dude. Diamondbacks pitcher Archie Bradley pitched a clean/dirty inning with poop in his pants. What an idiot. Major league bat flip. Brings a tear to my eye.